Who says Friday the 13th is unlucky?! On Saturday, 10/24, we are doing our annual end-of-year Strawberry Stand Photo. Clubbers, check out the new Pit Crew Tee's. Sign up for Malibu Triathlon Pit Crew and get one! 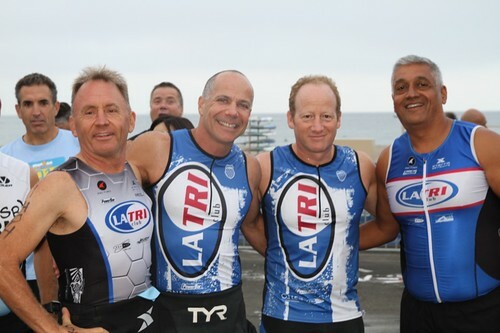 Pictures from the Santa Barbara Triathlon 2015 are up!! Chris McCormack aka "Macca" is coming to Los Angeles this fall!! Hello Clubbers, the FREE Coached LA Tri Club Pur Pak Open Water Ocean Swim is each Friday at Tower 26 Life Guard Station in Santa Monica.